Fake News and the Winds of Hate Roil the U.S. There is an ill wind blowing across the nation. Sometimes it is a foul gale, other times just a smelly zephyr. But it is as evil as it is nauseating, as noisome as it is cruel. It blights good fellowship, throttles reasonable discourse, and brings threatening clouds for the future. Lies, insinuations, fabrications and distortions are not new to politics, but now they have an awesome delivery system: fake news on the Internet. Fake news likely inspired a man to storm into the public library in Barrington, RI, on Nov. 10, and verbally attack a young patron. Wearing a Trump hat and T-shirt emblazoned with "Racist Cracker 88," he approached her, chanting, "Obama is out! We control this place now!" The librarians called the police, and the man was escorted out." To this buffoon, literacy was akin to elitism, liberalism and moral decay. A fringe of the already fringy alt-right believes that the election victory of Donald Trump established a new order of self-righteous bigotry, as though decency has been repealed, kindness put on hold and common sense sent to the jailhouse. A quiet block of small businesses on Connecticut Avenue in the Chevy Chase section of Washington, D.C. has become a focal point for the venomous malice of fake news on the Internet. On one side of the road is a Washington institution: the book store Politics & Prose, a favorite place for authors to talk about their books on C-SPAN. Across the street are two neighborhood restaurants: a large family pizza place, Comet Ping Pong, and a small French bistro and craft shop, Terasol. All three establishments have been the victims of fake news, which alleges that they are dealing in pedophilia, claiming Hillary Clinton, her presidential campaign manager, John Podesta, and former Secretary of State Madeleine Albright, who have been customers, are kidnapping children and holding them in tunnels under the pizza place. Sabrina Ousmal, who with her husband Alan Moin, own Terasol, has also been under attack. Here, I feel a personal involvement. 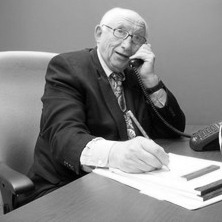 Ousmal worked for me for more than a decade, and she and Alan are personal friends of me and my wife, Linda Gasparello. Alan works full-time at Terasol, while Sabrina is the assistant publisher of The Energy Daily, which I founded in 1973 and sold in 2006. She has been besieged with hundreds of e-mails, spreading a vile story of child molestation and kidnapping and even suggesting that The Energy Daily is an alternative energy publication. Not true. It covers the electric utility industry and the government nuclear complex with dogged determination. 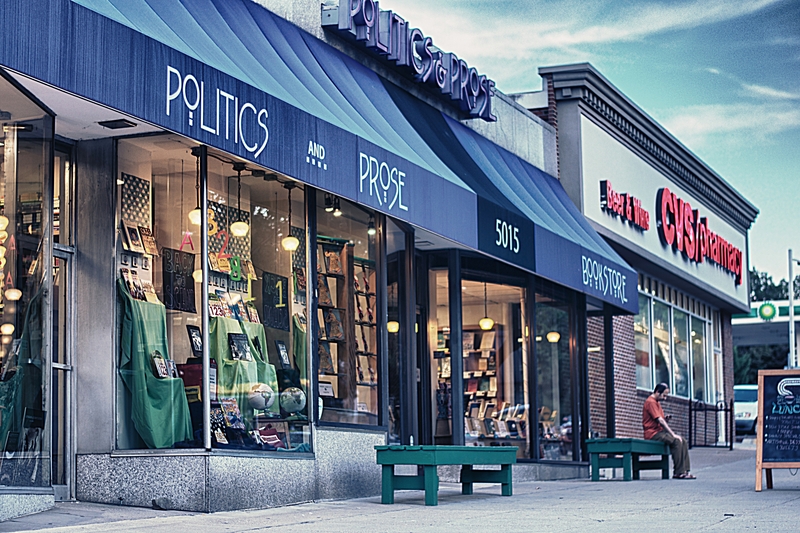 Politics & Prose is under attack, presumably, because the owners, Bradley Graham and Lissa Muscatine, had worked as Washington Post reporters, and Muscatine was a speechwriter for First Lady Hillary Clinton. The police and the FBI are on the case. But this is a new perversion of truth and the perpetrators enjoy the courage that comes from anonymity: the courage of the ultimate bully. The implications here go far beyond one block of small businesses in Washington. The problem as I see it is that people love to hate and once that infection has taken hold, it is resistant to cure. I have seen people warming themselves at the fires of hate around the globe; in South Africa, where the Afrikaners and the English traded in hate, as did the Xhosa and the Zulu; in Zimbabwe, where the hate was stirred by its evil president, Robert Mugabe, between his Shona people and the Ndebele. It has been stirred up, largely by a section of the press in Britain toward the continent, particularly the French. This, in the name of sovereignty, has led to the slow, almost ritual economic suicide now playing out in London.